A temporary, non-immigrant visa permits its holder to apply for entry to the U.S. for a temporary period of time, for a specific purpose. That purpose might be to work, go to school, attend a conference, etc., or just to visit friends. What distinguishes a non-immigrant visa from an immigrant visa is that the non-immigrant visa only allows a person to enter temporarily, whereas an immigrant visa holder can enter and stay permanently. 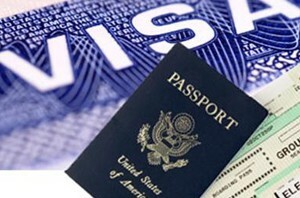 Immigrant visas are discussed in the section called Permanent Visas. At the border, the non-immigrant visa holder can be admitted to the U.S. in the particular immigration status indicated on the visa. How long someone can be admitted to the U.S. depends on which immigration status they are admitted. A person admitted in one status can often change their status in order to stay for a different purpose. For example, someone admitted to attend school may want to change their immigration status to one of the employer-sponsored non-immigrant visas once they graduate and find a job (provided that their new employer is willing to sponsor them). Several types of non-immigrant visas also allow a person to extend their status and thereby extend their stay in the U.S. The H-1B visa is a nonimmigrant classification used by a foreign national who will be employed temporarily in a specialty occupation or as a fashion model of distinguished merit and ability. Under current law, there is an annual limit of 65,000 aliens who may be issued a visa or otherwise provided H-1B status with up to 20,000 additional H-1B slots available to graduates of U.S. master’s degree (or higher) programs. The L-1 visa was established for multinational companies to transfer high-level and essential employees from oversees to the United States. The non-immigrant would work at the affiliate or subsidiary of that same employer in the U.S. in a managerial, executive, or specialized knowledge capacity. The E-1 visa allows a non-immigrant to enter the United States solely to carry on substantial trade between the country he or she is from and the United States. The home country of the non-immigrant must have a treaty with the United States. The E-2 treaty investor visa allows a non-immigrant to come to the United States to develop and direct the operations of an enterprise in which he or she has invested. An employee of a treaty trader investor may also be qualified as an E visa holder if the nonimmigrant will be performing duties that require special qualifications essential to the business. The nonimmigrant employee must have the same nationality as the foreign national employer and the home country of the non-immigrant must have a treaty with the United States. Highly talented or acclaimed foreign nationals may eligible for an O visa. Individuals who may qualify for this visa are entertainers, scientists and high-end chefs, businessman, and athletes, among others. Their managers may also be able to accompany the O-1 individual by obtaining an O-2. P visas are available to non-immigrants internationally known athletes and entertainment groups. Performing artists who fall under a reciprocal exchange program are available for a P-2 visa. P-3 visas are applicable to culturally unique entertainers. As an alternative to filing an USCIS petition for H-1B cases, citizens of Mexico and Canada can apply for TN status. To qualify the applicant must be employed in one of the sixty-three listed professions in NAFTA. Most professions require either a bachelor's or a licensures degree.